Jamaica Blue Mountain coffee prices hit a high of roughly US$60 per pound this year for roasted beans amid increased demand and reduced supply. Consumers however will find solace in knowing that producers are expecting prices to fall by as much as 25 per cent in the next two years. It will mean that the cheapest Jamaica Blue Mountain (JBM) in years whether from Jablum, Wallenford, Amber or any other brand. The price fall is the result of an expected increased supply of beans on the market as farms return to full or near to full capacity. The increased supply will result in an overabundance on the market which will, at least in economic terms, reduce the price. In anticipation of this price drop, brands including Jablum introduced a Premium Blend of coffee that incorporates 30 per cent JBM and 70 per cent regional balanced beans. Thus price conscious enthusiasts can buy a pound for as little as US$32 plus shipping. Over the last few years, a confluence of factors affected the supply of the beans led by drought, fires, infertile farms and disease. Over the last two years, roasters in Japan wanted the bulk of beans from Jamaica and were willing to pay anything for the luxury cup. During that period, the price at the farm level jumped fivefold from US$20 to $100 per box of coffee as small farmers gained influence in price setting. Simply put Jamaica Blue Mountain (JBM) is the premium brand and Jamaica High Mountain is the satisfactory fighter brand. Jamaica Blue Mountain should taste complex with initial tones of chocolate which transfers to hints of brown sugar and then lemon on the back end without any bitterness. In other words three layers of taste or tri-tones. In reality most cups will have two layers rather than three and offer chocolate and nut without the bitterness. Or chocolate and lemon. Regardless of the number of layers it should be balanced and not taste like hot water. High Mountain on the other hand offers a deeper chocolate taste in part due to darker roasts but also heavier body and a more masculine profile. Its profile then offers a transition from cocoa to heavy nut with some amount of bubbly acidity and slight bitterness. It makes a cup daily cup but will not usually offer complex tri-tones like properly curated Blue Mountain. Its also less balanced and the swings of chocolate to bitter isn’t uncommon. But there are some great batches of High Mountain that can offer more satisfaction than Blue Mountain particularly for those who want a chocolate affair especially with milk. Price. Jamaica Blue Mountain retails for about $25 per 8oz or basically twice the price of high mountain. There are some exceptions in price with newer brands seeking to slash margins to make sales. But generally stick to known brands at higher costs. You basically get value for money. Why. Because even today a few roasters don’t drink coffee in Jamaica. So they can’t tell a botched roast job or not. Brands. 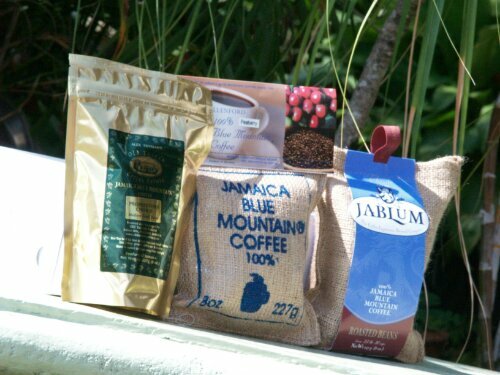 Established Jamaica Blue Mountain brands include Wallenford, Jablum, Coffee Traders, Coffee Roasters, Marley Coffee, Amber Estate and Twymans. There are others but these are the ones in the main. The newer ones include brands like Plantation Blue and Stoneleigh. Of course the profile changes based on many farming factors including luck. But generally speaking, I find that Twymans and Amber are most consistently in offering tri-tones while most of the others will give amazing two-tones. Its probably due to the single estate nature of these beans and the love that these farmer-owners put into each bag. Actually yes, they are proud of their coffee and would invite anyone to share a joke with them over a fresh brew. I also have to make honourable mention of Marley in the gold bag which I also find the right balance of chocolate and lemon. The right balance of amazing. It therefore sets up questions about the oldest brands in the business: Wallenford and Jablum. They are good but will generally offer two-tones rather than amazing three tones. Anyone can disagree. Its just my opinion. It is getting better but when a company is the oldest and the largest (Wallenford owners bought out Jablum) you buy from thousands of farmers and the profile moves from knowing every bean to capitalism. But its still good and I’m actually drinking Wallenford now. High Mountain on the other hand, is dominated by the Minott family controlled Jamaica Standard Products Limited. 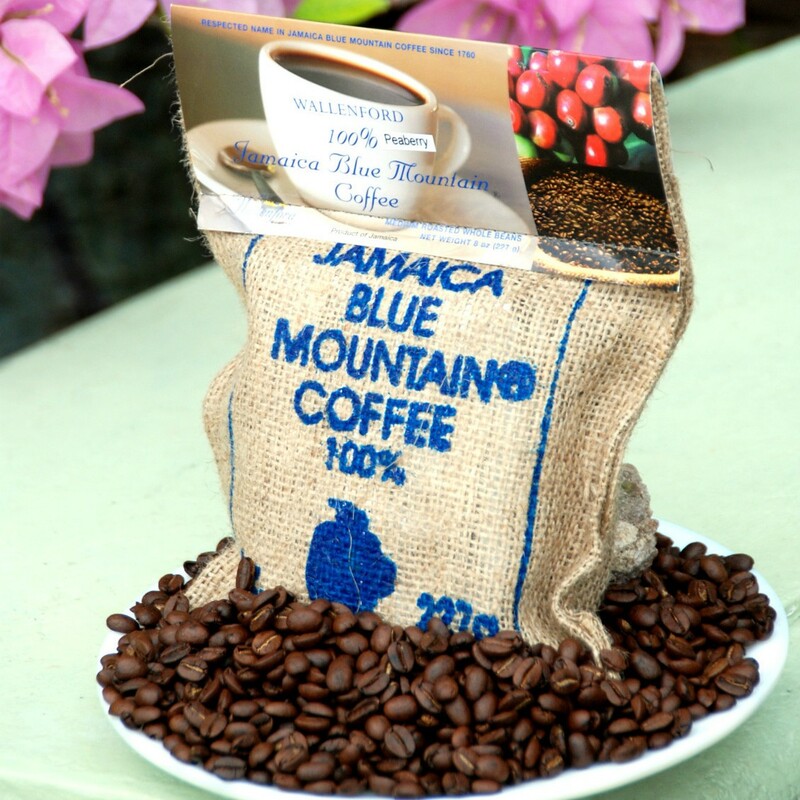 The company masterfully calls its brand the name of the region of coffee–Jamaica High Mountain. Geographically JBM is grown at an elevation beyond 2,000 ft in the mountain range of the Blue Mountains on the easterly side of Jamaica. While High mountain comes from various areas in the island but particularly, the other side of the island. JBM is serious coffee and the microclimate offers that premium super luxury taste that’s renowned globally. 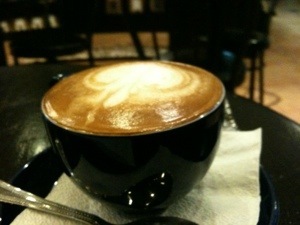 That said, High Mountain is the better choice for mixed milk based drinks including cappos, lattes and the sort. The annual crop earning of Jamaica coffee dipped to $11m from $18m due the reduced crop output due to rust disease. In fact the reduction in supply actually upped the price. However we at JAMAICAMOCHA continue to keep prices at bay due to sourcing. Wallenford, the largest producer of coffee in the island. Admired for its delicate balance of floral aroma, mild acidity and full body. 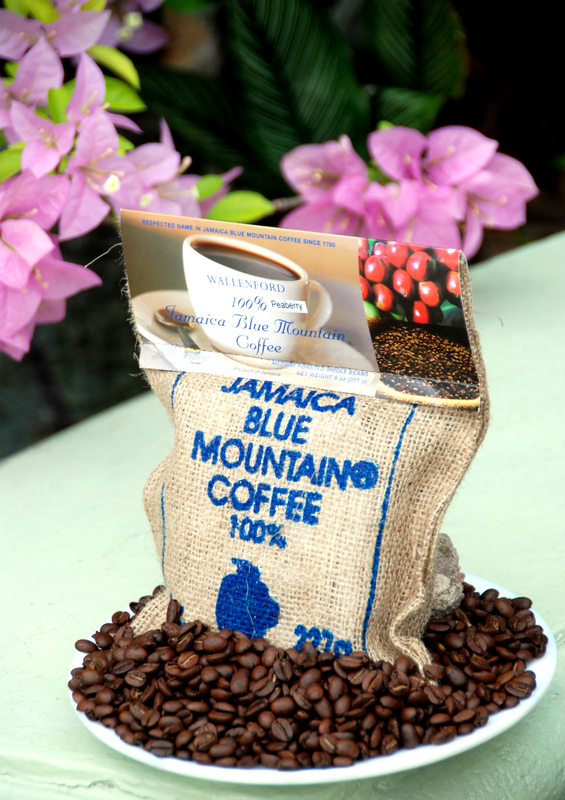 Wallenford® Jamaica Blue Mountain® Coffee has long been regarded as the world’s finest coffee, and the number one choice of coffee connoisseurs. It is one of the oldest and most renowned coffee companies in Jamaica. Wallenford ® promises and delivers the perfect cup of coffee. 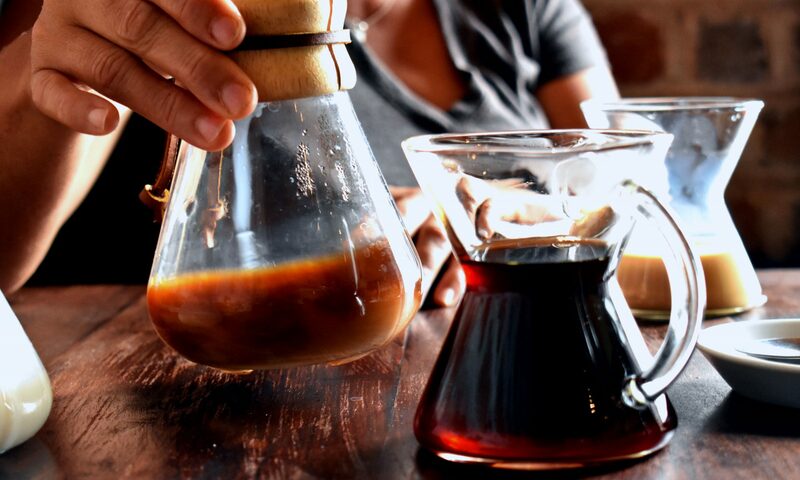 Historically owned and operated by the coffee regulator–Coffee Industry Board: The regulatory and marketing arms split about a decade ago in order to focus on separate yet ultimately united objectives. Wallenford therefore is CIB certified. Wallenford sells 1.5 lbs for US$48.99 with free shipping or half off retail price. SAFE: ALL SHIPMENTS RECEIVE TRACKING NUMBERS. TRACKING NUMBERS ARE INDEPENDENTLY VERIFIABLE BY JAMAICA POST OFFICE WHICH UPDATES TRACKING STATUS VIA EMAIL. SHIPMENTS TO USA TAKES UP TO 29 DAYS AND UP TO 45 FOR REST OF WORLD. Largest jamaica coffee chain, CAFE BLUE changing cappuccinos? Cafe Blue, the largest Jamaica Blue Mountain coffee chain is contemplating changing its cappuccino preparation and finish, sources say. It could result in creating a pillowy top on the head compared with the current thick coffee creme head existing (see picture). The change if ok’d will take effect as early as June 2013.